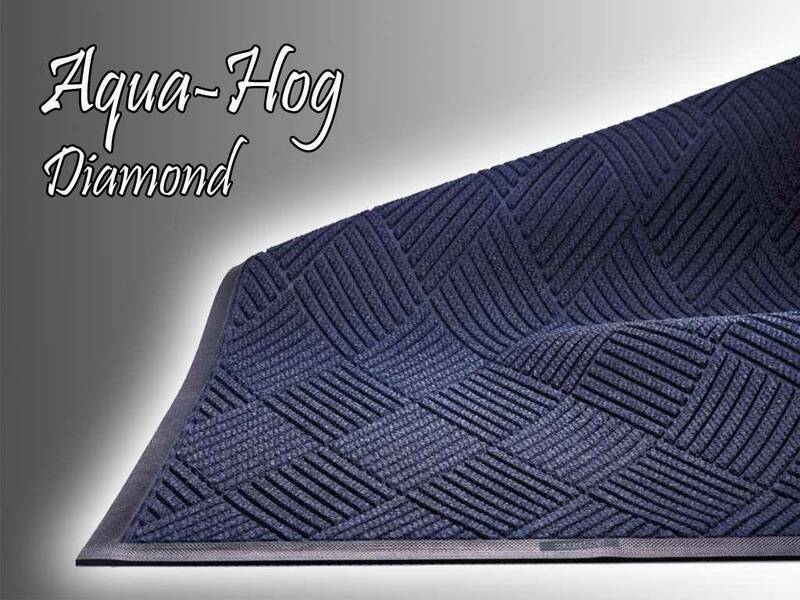 Aquahog Diamond’s unique surface pattern scrapes dirt off of feet with every step. 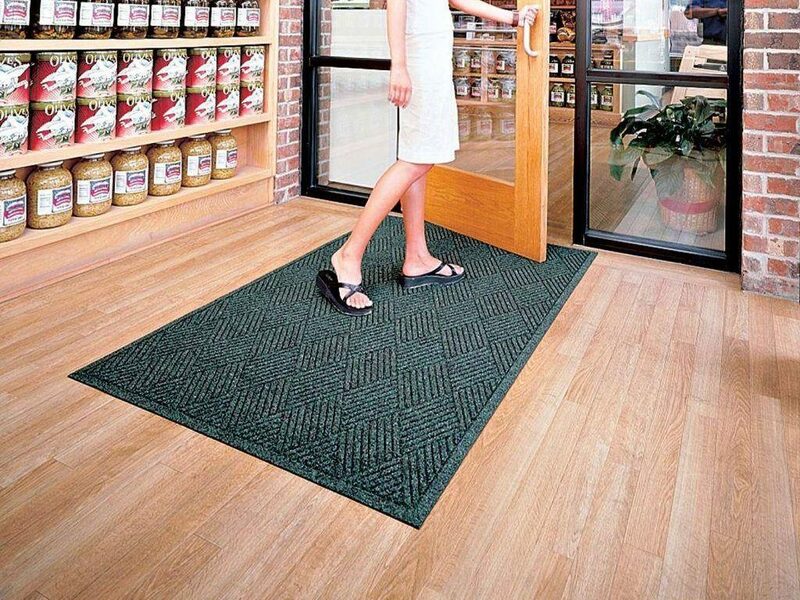 This mat will help protect your floors from wear and tear. 100% polypropylene surface dries quickly and will not fade or mildew in direct sun or rain. 7 subtle entrance mat colors offered to compliment every decor. 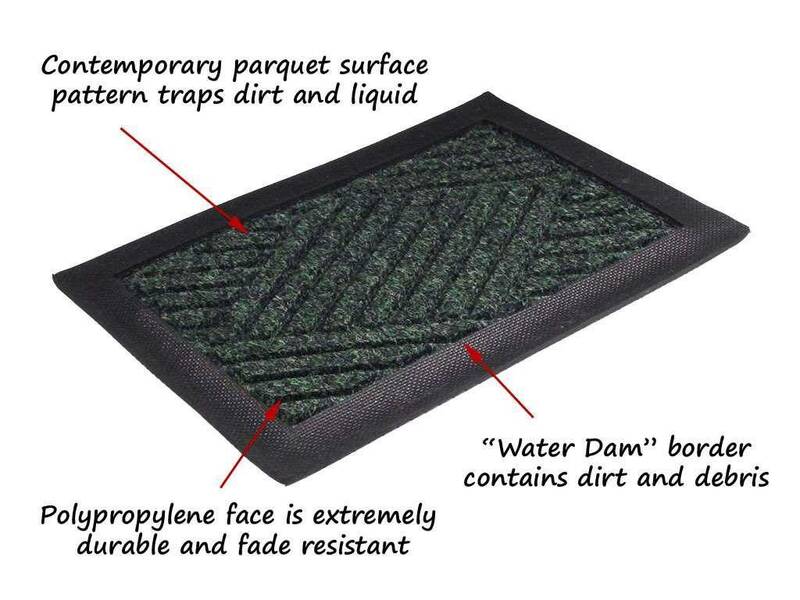 "Aqua Dam" border contains moisture and debris within the entrance mat and off your floors.